Ocoee near Orlando is a terrific place to live due to the abundant sunshine that we’re graced with for over 200 days a year. Residents love the active outdoor lifestyle and businesses love setting up shop where the weather contributes to an overall feeling of well-being. When it gets hot in the summertime, a top-notch air conditioning system is a must. When something malfunctions within your system, it’s good to know you have expert Ocoee air conditioning repair and the AC service Ocoee trusts most often provided locally by DC / AC Air and Heat to keep everyone cool and comfortable. The expert AC repair Ocoee has depended on for over 25 years comes to you quickly with a simple phone call or with just a few clicks. We know that your time is valuable. We love knowing that we’re the trusted provider of the professional AC repair Ocoee neighbors and friends rely on for the most comfortable working and living conditions. We take pride in our A+ reputation with the Better Business Bureau. The fully licensed and bonded technicians from DC / AC Air Conditioning and Heating never take for granted the trust that we’ve worked so hard to earn. Once you call for help, we’ll be out as soon as we can to provide the affordable AC repair Ocoee needs to be their go-to solution for comfort. You’ll also receive the free AC repair estimate Ocoee depends on to be fair and accurate. Our expert technician will be out to evaluate your system and let you know exactly what needs to be done to get it back to excellent working order. Whether you need simple parts replacement, tuning, cleaning of coils and components, or recharging of the refrigerant, our technicians are highly qualified and well-versed in all the nuances of every system on the market today. If you need a new system, you can rely on the expertise of our specialists to guide you in the right direction. 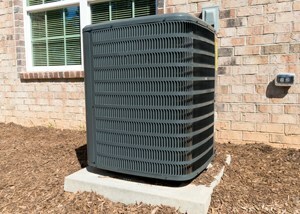 Should the need arise for a new AC system, you can depend on the expert advice from DC / AC Air and Heat. 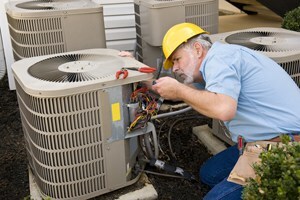 If simple Ocoee AC repair is what you need, we’re there for you with the right repairs as well. Today’s newest air conditioning and heating systems are eco-friendly, economical and energy saving so you know you’re doing the best you can for your home or business while also doing the best thing for the environment. We think you’ll be thrilled to see a reduction in your energy costs with a newer, more efficient air conditioning and heating system. Our expert technicians will educate you in all the nuances of new systems so you can make the best, most informed decision about which system will perfectly meet your needs. We believe you’ll be impressed with our technical knowledge of characteristics like energy efficiency ratings, technologically advanced components, and the best ways to use your new system for exceptional cooling and financial savings results. We believe in helping to keep the AC repair costs Ocoee experiences to reasonable levels and learning the smartest ways to use your new system is an important part of that. We’re dedicated to seeing that the AC repair in Ocoee Florida that we provide gives our customers complete confidence that all service and repairs are done right every time. We continually strive for 100 percent customer satisfaction. We adhere to tenets including integrity, professionalism, honesty and excellent service. Even the toughest heat and humidity that nature can send our way is handled more easily when you have professional HVAC help and advice from DC / AC Air Conditioning and Heating. The trusted AC service Ocoee needs to handle any conditions is expertly delivered and backed by guarantees of satisfaction. We know that when you’re satisfied with the service and advice you receive from us, you’re more likely to recommend us to friends, neighbors and co-workers. This gives us the ultimate feeling of satisfaction knowing that we’ve been able to keep our neighbors cooler and happier. You can depend on DC / AC Air and Heat to keep on providing excellent AC and heating service no matter what kind of weather we experience here in Ocoee. 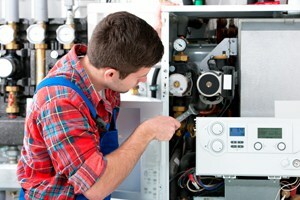 Call us for the Ocoee air conditioning repair and service you can depend on for excellence.